As communities continue rebuilding after the costliest year on record for natural disasters, incongruities in policy and appropriations at the federal level loom large. Congress tasked the administration with spending billions of dollars in aid while staffing cuts and turnover in those same agencies mean workers may now lack the expertise and experience to deliver. And budget rules mean emergency funds get fast-tracked while other responses languish. The $89.3 billion disaster supplemental signed into law this month includes $28 billion for the Department of Housing and Urban Development's Community Development Block Grant program. The CDBG program, originally intended to spur state and local economic development, has become a popular way to foster rebuilding storm-ravaged areas. While advocates praised the lump sum as a win, doubts remain about whether HUD, under Secretary Ben Carson, is equipped to manage those funds, especially with the looming threat of climate change. The CDBG program, housed within the Office of Block Grant Assistance, generally operates with a $3 billion budget. While the disaster CDBG program, or CDBG-DR, is funded ad hoc and can differ from the regularly appropriated program, grants are generally overseen by the same office, though in separate divisions. 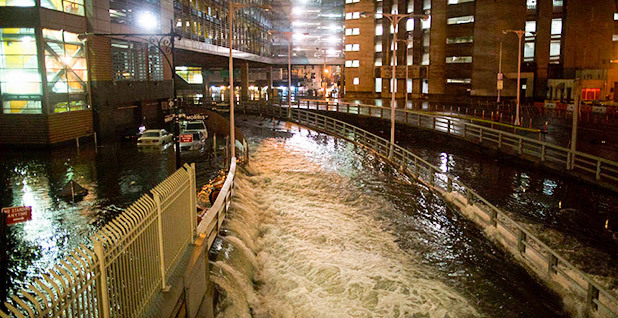 Before this year's $28 billion windfall, the largest disaster package HUD managed was $16 billion in 2013 to assist with Superstorm Sandy recovery. "The conditions are worse than they were in Sandy, and yet HUD is confronting similar or larger infusions of grant money to administer," Danielle Arigoni, who worked at HUD under former President Obama, told E&E News. She left the agency in September of last year. Arigoni served as the acting deputy director of U.S. EPA's Office of Sustainable Communities before she was detailed to HUD's Office of Economic Development in 2014, where she provided technical support for community resilience planning. The Office of Economic Development was originally called the Office of Sustainable Housing and Communities, and was informally HUD's climate change unit. After Republican lawmakers tried to zero out its funding, Obama's HUD rebranded and created the Office of Economic Resilience. That too was a target, according to three former employees of the office. The Office of Economic Development was HUD's last attempt to preserve its climate work. Arigoni said when the new administration came in, its definition of economic development was more "conventional." "We began to lose staff when it was clear the new administration was not going to support the kind of work we had been doing," she said. "By about late spring, we realized the writing was on the wall, and it made more sense to disband the office to try and preserve portions of the work than artificially keep it together." With expensive disasters only expected to continue as the planet warms, the growing use of emergency spending may be seen as one example of a U.S. government response to climate change by a political party — the Republicans — that is largely loath to say the words (E&E Daily, Dec. 22, 2017). For example, the supplemental package also set aside a historic $12 billion in CDBGs dedicated solely to mitigating future risks like sea-level rise, though it does not mention climate change directly (Greenwire, Feb. 9). A separate former HUD employee said that under Carson, the governance framework and priority around global warming and resilience broadly at the agency no longer exists. Arigoni agreed. "Climate resilience work was not able to be preserved, and we lost nearly all the expertise on that," she said. Many career staff members have left, sources said, and the hiring freeze prevented the agency from replenishing its workforce. Carson has signaled that he intends to further downsize his department. Arigoni said she thinks there is still a huge opportunity for the $12 billion mitigation funds if the agency seizes it. "But I've a reluctance [from this administration] to grab onto anything that seems to have an affiliation with the prior administration," she said. 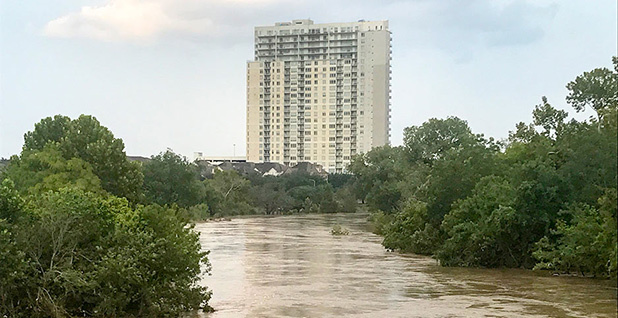 For some lawmakers from storm-affected regions, incidents provided an opportunity to secure federal dollars for projects to reduce the future risks. That includes more than $17 billion for the Army Corps of Engineers for flood mitigation and resilience — enough cash to finish every federally authorized flood control project in southeast Texas, said Rep. John Culberson (R-Texas), who chairs the House Commerce, Justice and Science Appropriations Subcommittee. The congressman said his southeastern Texas district continues to dig out from Hurricane Harvey, which dumped more than 53 inches of rain on an area the size of New Jersey, causing the U.S.'s largest housing disaster. "There are tens of thousands of my constituents still living in the second floor of their homes with no Sheetrock on the ground floor because of the scale of this disaster, which was so huge," Culberson said recently. "My brother is living in a trailer in his driveway." Perhaps an irony of the budget process is that funding for initiatives that will reduce climate change risks — and thereby future taxpayer costs — must compete with other federal programs for funding, all subject to strict caps. But the more than $130 billion in disaster aid Congress has appropriated since September is considered "emergency" spending, and therefore exempt from budget rules that would otherwise require offsets. As a result, lawmakers have been able to front-load funds to boost resilience into the supplementals, while these same programs are subject to the vagaries of the "regular" way Congress spends money. Even though members included in the $89.3 billion package the $28 billion for HUD's CDBG, and despite its utility in disaster recovery and popularity among lawmakers, the White House has twice called for the CDBG program to be eliminated. "The program is not well-targeted to the neediest populations and has not demonstrated a measurable impact on communities," states the administration's fiscal 2019 budget, echoing last year's request that Congress ignored. The fall's spate of disasters — which required Congress to appropriate billions of dollars to the Federal Emergency Management Agency's disaster relief fund and National Flood Insurance Program (NFIP) — did not appear to cause major shifts in the administration's planning for other programs that aim to boost resilience. For instance, funding for a popular FEMA pre-disaster mitigation grant program would remain level at $39 million in fiscal 2019, the same as in last year's request. However, the administration is seeking $100 million in the upcoming fiscal year for the NFIP's flood hazard mapping program, which it had sought to eliminate in last year's budget. Rep. Henry Cuellar (D-Texas), who sits on Appropriations, said he recognized the budgeting dilemma resilience faces but noted that tens of billions of dollars in defense spending is regularly appropriated to accounts separate from the Defense Department's base budget. "I wish we would do this through the regular appropriation process, but if there's a disaster, there's times when we have to put that supplemental money in like we did here," Cuellar said. Rep. Eddie Bernice Johnson of Texas, the top Democrat on the House Science, Space and Technology Committee, said climate change being to blame for the enormous sums of emergency aid Congress has appropriated since last fall is lost on many members. "It has not been acknowledged, especially by the Republicans, because they seem to be afraid to talk about climate change," Johnson told E&E News this month. "But it's an issue. It is clear, anyone with any intelligence sees the changes that are going on and the more severe the weather is." Johnson has been outspoken in calling for rebuilding in Texas using the most resilient materials possible, likening it to the use of weather satellites to predict and ameliorate global warming. "We are not building with our best resilient materials, and we are ignoring the fact that some areas have already been predicted to flood, so we shouldn't be building in them," she said. She lamented there is little discussion occurring on Capitol Hill about overhauling the budgeting process with an eye for more investment in resilience. "It is a disconnect between the conversations of this type and the appropriating process," she said. "We have not taken the time to really look at our processes and the basis for which we do this rather than it just being political or partisan, and we've got to get beyond that."